The roof is the most important component of your home. Therefore, you need to protect from the harsh Minnesota winters. If you want to find out how to care for your roof this winter, then here’s a quick guide to show you how. Our first recommendation is to schedule an Intelligent Design roofing contractor to perform a complete inspection of your roof. 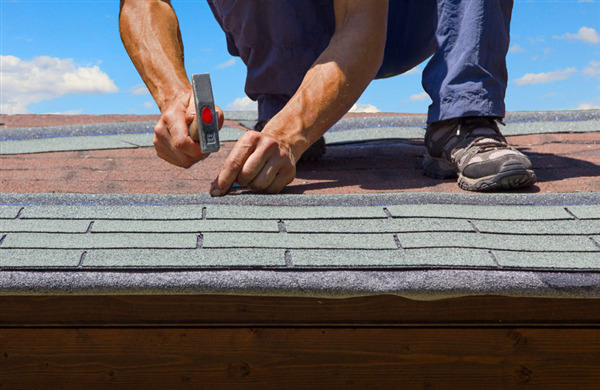 An inspection will reveal any issues that are currently going on with your roof right now. Once we identify the issues, then we’ll make recommendations on what needs to be done to get your roof back in proper condition. Are inspections are thorough, accurate, and honest. When was the last time you had the gutters cleaned? Gutters filled with leaves, branches, and other debris can become heavy during the winters when everything turns to ice. The weight on top of the gutters can cause them to buckle. We can clean your gutters and also install gutter guards to keep debris from getting into the gutter channels. We can also perform any necessary maintenance and repairs to the gutters. If your attic insulation has seen its better days, then now is the time to have it replaced. Brand new insulation from Intelligent Design will protect your home from the bitter cold and moisture outside. A well-insulated attic will also make your home more energy efficient and reduce your utility bills every month. We can remove all the old insulation and replace it with brand new insulation. The process is quick and easy! ● We can seal up all leaks in the roof to keep air and moisture from getting in or out. ● We can add more insulation if you do not have enough. This keeps the warm air in the house. ● We can add roof and soffit vents for proper ventilation under the roof. As winter gets closer, you can prepare your roof by contacting Intelligent Design Corp. Our entire team of certified contractors have the knowledge and skill necessary for proper winter preparation. Call us today at 763-315-0745 and let us provide complete maintenance for your roof. We serve homeowners throughout Minneapolis and St. Paul, Minnesota.